Isadora Stormrage - Ability changed to "When you summon a Mage ability, Isadora is readied. When Isadora attacks an ally on your turn, ability damage to opposing allies is increased by 1 until the end of the turn. 1: Target opposing hero or ally takes 2 electrical damage." (from "When you summon an ability, Isadora is readied. When Isadora attacks an ally on your turn, ability damage to opposing allies is increased by 1 until the end of the turn. 1: Target opposing hero or ally takes 2 electrical damage."). Lilyt of Orem - Casting cost reduced to 5 (from 6 ). Attack reduced to 2 (from 3). Health reduced to 7 (from 9). Ability activation reduced to 2 (from 3). Jace Mortlock - Health increased to 7 (from 6). Eye of the Dark Forest - Durability reduced to 1 (from 2). Axiom the Soulless - Ability activation reduced to 1 (from 2). Take jav away from warriors for the sake of this game. 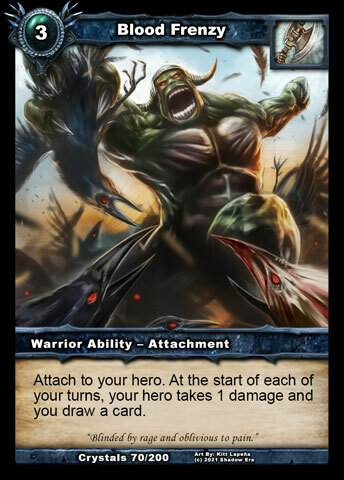 You guys gave it a buff and now it does 5 damage to an ally and can come back on the same turn to do 3 more. Are you kidding me? It's worse than before! Did you test it before releasing? The buffs to those allies do absolutely nothing for them except Lilyt i guess. Last edited by Scout; 01-28-2019 at 06:14 PM. The top grade game design where the entire class metas should be based around 1-3 cards. 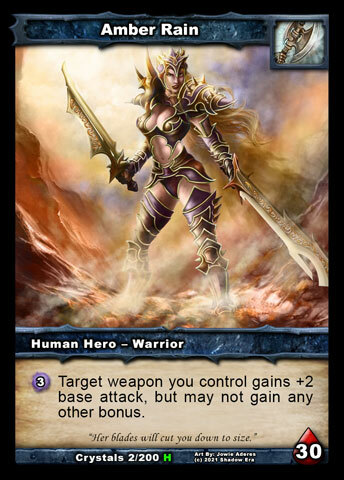 Warrior especially Amber probably the best classes in this meta, in addition with Javelin they have Braxnorian Weaponsmith that could seek their Weapon easily and Plunderer that can easily get back any weapon that has already destroyed. With the nerf in Sorcerer Endia and Rapacious Vermin will also make their Blood Frenzy almost untouchable.